The Baltimore Orioles promote responsible drinking and positive fan behavior at Camden Yards. The Orioles Fan Code of Conduct and the details of the Orioles alcohol management plan that appear below ensure that fans have a safe and fun experience. Courteous behavior is expected of all fans. Any fan infringing on another fan’s enjoyment of the game is subject to ejection from the ballpark. Our staff will intervene when necessary to support an environment where fans can enjoy the baseball experience free from the following behaviors: Foul/abusive language or obscene gestures; intoxication or other signs of impairment related to alcohol consumption; displays of affection not appropriate in a public setting; obscene or indecent clothing; any disruption to the progress of the game by a fan’s action or unauthorized persons on the playing field; fans seated in a location other than their ticketed seat. If anyone is interfering in another fan’s enjoyment of the game, they are encouraged to contact the nearest usher or visit one of our three Fan Assistance Centers. 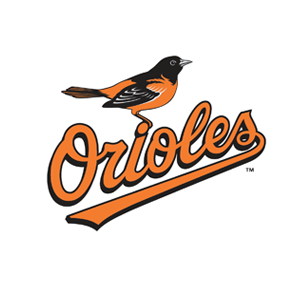 The Baltimore Orioles, Anheuser-Busch, and Delaware North Sportservice have teamed up to offer the Budweiser Responsible Fan Program, previously known as the Budweiser Good Sport Program and the Designated Drivers Program, at Oriole Park at Camden Yards. Fans of legal drinking age, who hold a valid driver’s license, can pledge to be a designated driver for their group by signing up at the Budweiser Good Sport Booth located near the Fan Assistance Center at Gate E on the Lower Level Concourse. By signing a pledge not to drink alcoholic beverages during the game and ensure members of their group have a safe ride home, designated drivers will receive a coupon that can be redeemed at any Oriole Park concession stand for a free soft drink during the game (one designated driver per vehicle). The Good Sport Booth will remain open until approximately 30 minutes after the scheduled first pitch, so fans should sign up prior to the start of the 2nd inning to ensure they can participate in the program. Thank you to all the fans who respect the rights of others, drink responsibly, and designate a driver at O’s games.